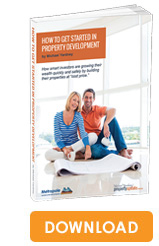 We help ordinary Australians to become property developers and take the hassle out of your investment by assisting you with all the development expertise you need. Metropole’s Property Developer Program offers you the opportunity to purchase property at wholesale prices and lock in immediate profits. 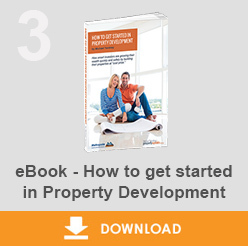 We enable you to become what we call an “armchair developer” and get all the benefits of property development without getting your hands dirty. 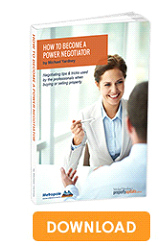 Metropole organises everything and acts as your project manager. However, at all times you are in control and maintain ownership of the property title together with all profits from the project. If you’d like to get started in property development please click here to organise a time for a chat. Or call us on 1300 20 30 30. 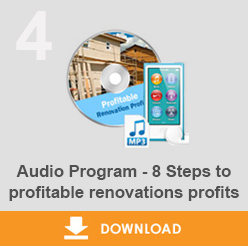 Thank you for requesting our audio program – 8 Steps to profitable renovations profits. You’ll also find a number of other reports waiting for you that should be of interest to you. If you’re thinking of increasing the rental returns on your investment property or “manufacturing” some extra equity by renovating, talk to our renovation team, Metropole Renovations. 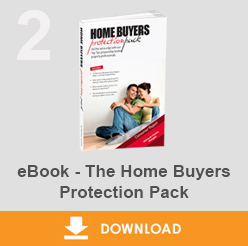 Help you unlock the “potential” of your investment property. If you’d like to find out more please click here to organise a time for a chat. Or call us on 1300 20 30 30. With all the property marketers, developers and agents out there looking after their own interests, it’s a great feeling having the independent team at Metropole on your side, working for you. 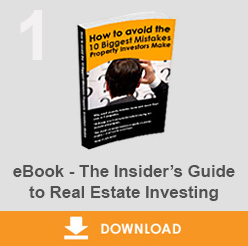 Members of Metropole’s team have been Best Property Investment Strategists and Australia’s best Buyers Agents by readers of Your Investment Property Magazine for 4 years in a row. 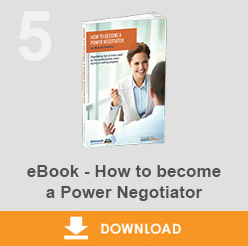 However we do much more than research, negotiate and buy properties – we devise a property investment strategy designed specifically for you. If you’d like to get started in property investment please click here to organise a time for a chat. 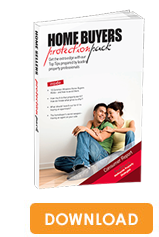 Or call us on 1300 20 30 30. 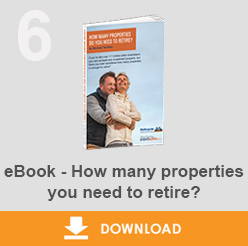 How many properties you need to retire? 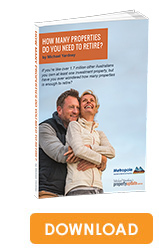 Thank you for requesting our special report – How many properties you need to retire? We look forward to being part of your wealth creation journey.